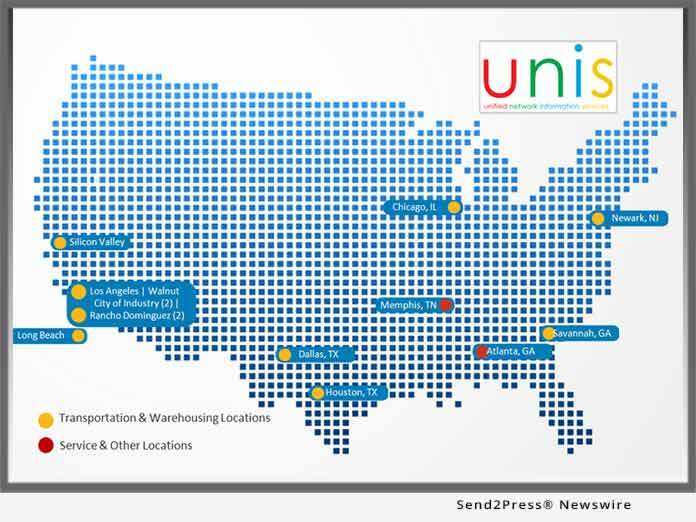 PASADENA, Texas, Feb 19, 2019 (SEND2PRESS NEWSWIRE) -- UNIS LLC, an asset-based fulfillment and transportation provider, announces the opening of their second fulfillment center in Pasadena, Texas near the Bayport and Barbour's Cut Port Terminals. UNIS' expansion doubles their Pasadena footprint to over 500,000 square feet of distribution space. This build-to-suit, customs bonded facility, mirrors their first building that is located across the street. "The demand for our services has been overwhelming and the decision to expand was an easy one," said Scott Simanek, UNIS LLC's Chief Commercial Officer. "Our facilities and terminals are strategically located by the major marine and inland ports. We are able to service our clients to 98 percent of the country with two-day service." This new facility will allow Unis to bring on additional new clients that are looking for either additional capacity or a new footprint in the Houston market. Founded in 1989, UNIS LLC has grown into a major, nationally recognized Third-Party Logistics Provider (3PL). From humble beginnings with just a few trucks operating in Southern California, Unis has expanded into a Port Centric, asset-based provider of distribution, fulfillment, transportation and drayage services. With over 8 million square feet of distribution and fulfillment space along with 800 trucks, UNIS has mindfully impacted the successful flow of commerce with superior technology, smarter supply chains and faster execution. We credit our growth to an agile, customer driven mindset, and strategic investments in technologies that give our clients the operational insights they require in today's dynamic supply chain environment.